Disclosure: I was sent free samples of these products for review purposes. All opinions are my own. I love noodles. They're one of my go-to ingredients when I'm preparing meals. I don't eat noodles every day, but I usually have them at least once a week. 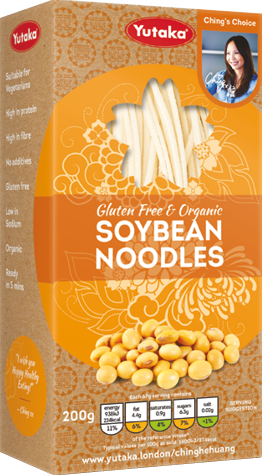 They're quick and can be combined with a myriad of other foods to create something delicious to eat. They're an excellent way to get creative in the kitchen. 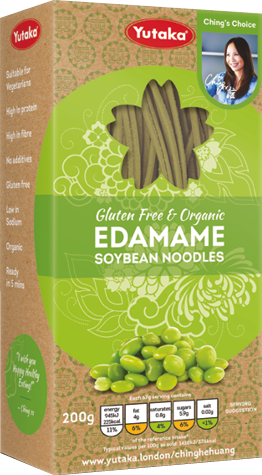 Recently, Yutaka sent me samples of their gluten free & organic Soybean Noodles and Edamame Soybean Noodles. 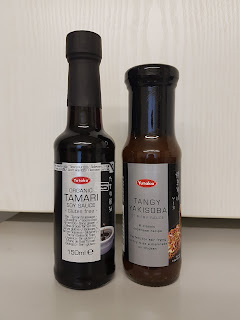 I also received Yutaka Organic Tamari Soy Sauce, Yutaka Tangy Yakisoba Stir-fry sauce, and Yutaka Black Roasted and White Roasted Sesame Seeds. 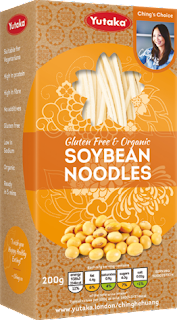 I was excited to try them out because I love experiencing new tastes. 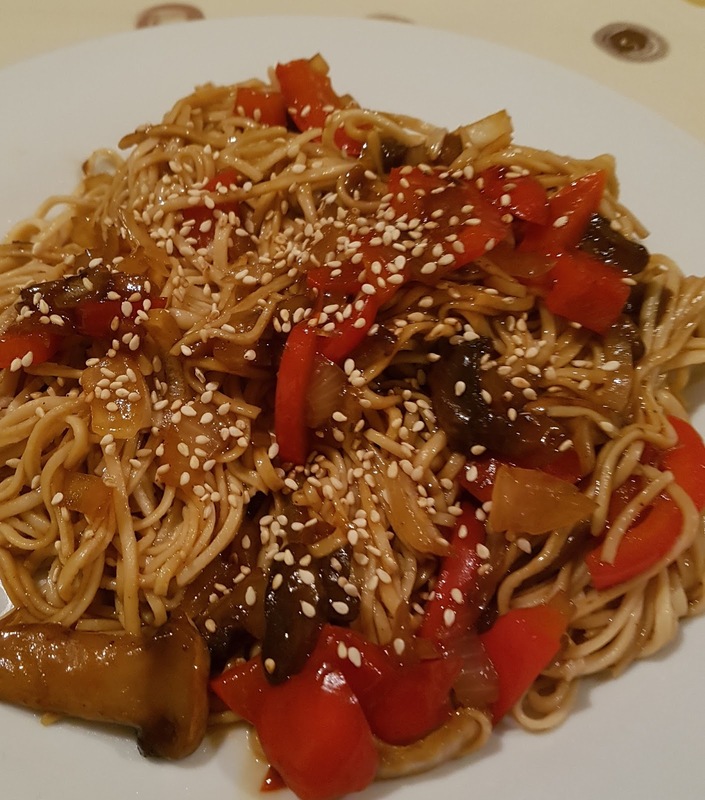 I decided to improvise and make one of my fave toppings for the noodles. 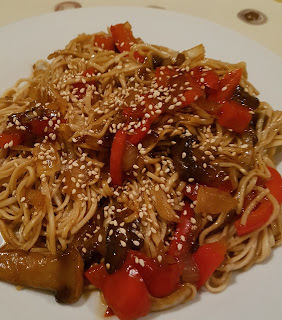 In one pan, I combined red peppers, mushrooms and onions with some of the soy sauce and stir-fry sauce. It smelled heavenly while it was cooking. Alongside this, I boiled the noodles. When I combined the contents of both pans, it came together to look like this. 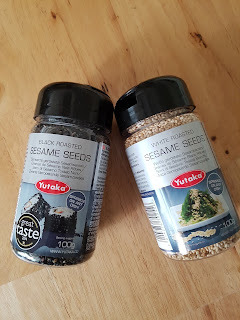 To finish the dish off I simply sprinkled some of the white roasted sesame seeds on top. It looks delicious and let me tell you, it tasted delicious too! I really enjoyed this dish and my husband did too. It was lovely! All of the ingredients came together beautifully for a fresh and savoury taste. These are high quality ingredients. I'm definitely a fan and I'll be certainly be having them again soon!